Filling out the FAFSA is the first step for most students seeking financial support for college. But the form can be complicated and intimidating, particularly for New York City students. Many fill out the form themselves or have questions that that are not easily answered on the form. 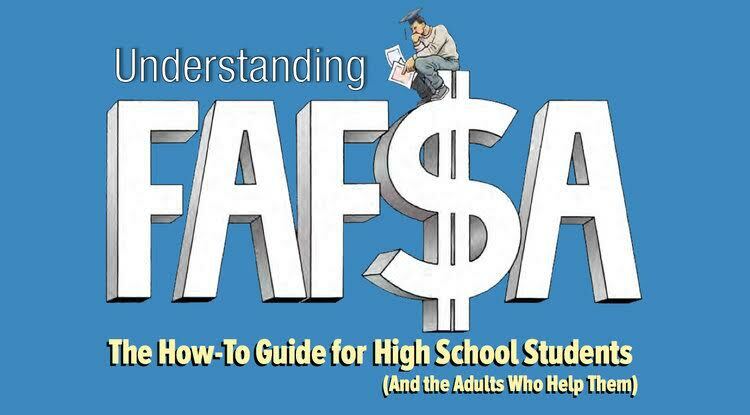 The Center for New York City Affairs has released the 2017-2018 edition of our popular guide for high school students who are applying to college and beginning their all-important quest for financial aid: FAFSA: The How-To Guide for High School Students (And the Adults Who Help Them). The U.S. Department of Education’s Free Application for Federal Student Aid (FAFSA) is available on-line, as of October 1. Students and families should fill it out as soon as they can. Some financial aid is available on a first come-first served basis. The guide will be particularly useful for first-generation, immigrant and low-income students. Many are filling out the for the first time. The How-To Guide was written in partnership with New York City guidance counsellors and financial aid professionals in an effort to answer many of the questions students have. • What is the FAFSA form and what documents will I need? • What kinds of questions can I expect and how does the process work? • What if I am not a U.S. citizen? • What if my family is not a traditional family? • How do I report and calculate my family’s income? • What happens after I file the FAFSA? • How do I compare college financial aid offers? • What happens next year when I am in college? This year’s guide has been updated with the latest information for undocumented students and parents. We offer new guidance for homeless students and student in foster care. And we describe recent changes to the Early FAFSA form, including what to expect from the revamped IRS Data Retrieval Tool. Check out our new guide for the 2017-2018 FAFSA season. We also recommend the guide for guidance counsellors and teachers. Each New York City public school should have copies. Ask your guidance counselor.